Although it’s painful to admit, U.S. Christianity—like U.S. culture, U.S. politics, U.S. economics—has long had an arrogant, aggressive, deeply triumphalist side. At times, that spirit is subdued and latent. Other times, it erupts with a fury that seems to know no limits. Few events in recent times have seemed to unleash U.S. triumphalism any more passionately than the 2001 attacks on the Pentagon and World Trade Center. 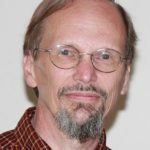 Aided by an eager assortment of media, there was an immediate uprising of U.S. culture, U.S. politics, U.S. economics, and even U.S. Christianity. Each manifested an indignation worthy of an affronted queen whose pampered slumber had somehow been horribly disturbed. The natural—and important—question of “why?” became a constant mantra. Anyone who dared, however, to probe for an answer to that critical question was quickly dismissed as a traitor. When arrogance rules a nation, its own violence toward others is the only legitimate violence. So there could be no answer to the “why” question. To suggest that others might honestly have deep feelings of anger or might consider themselves exploited because of what we have done was seen then — and it is seen now — as treason of the foulest sort. The perpetrators were constantly demeaned by referring to them as “terrorists,” a label which conveniently made them “other” in comparison to the far more abundant deaths resulting from “normal” U.S. policies and actions. As Diana Butler Bass points out in her thoughtful and very personal narrative about post-9/11 spiritual survival, U.S. churches of all stripes were deeply complicit in the flag-waving, sin-justifying, we’re-gonna-smash-you, God-bless-America spirit. In their sermons, formerly courageous preachers refused to mention the biblical mandate of peace. In their prayers, formerly compassionate deacons studiously avoided even appearing to invoke God’s slightest blessing on those who might be seen as “enemy.” In some once-holy sanctuaries, flags flagrantly assumed a greater prominence than crosses. 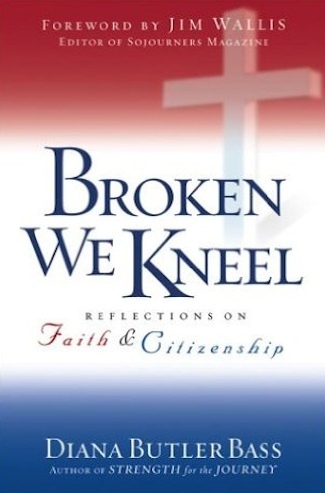 Broken We Kneel reflects one woman’s quest to see more clearly — and to live more faithfully. Throughout her book, Diana Butler Bass writes with gentle grace, but the journey that she describes — like many of our own journeys — has not been easy. No matter how many phones are tapped, no matter how many “suspicious aliens” are monitored, no matter how many “Patriot Acts” undermine our liberties, no matter how many recalcitrant Muslims are tortured and humiliated in U.S.-run and U.S.-encouraged “detention” centers, no idol made of stone and steel will ever give us a moment’s peace. When U.S. churches, imitating U.S. culture, masked the truth that had been revealed on September 11, Diana Butler Bass — like many of us — felt beaten and broken. She realized that she had been assaulted not just by forces without but also by forces within. Arrogant pride, patriotic fervor, and unthinking indignation sat like putrid wax in the ears of those who once claimed to hear the Spirit’s call. Again and again, we are victimized by those who eagerly parade themselves as God’s righteous victors. Broken, we kneel. Broken, we find grace. On one level, the message of Diana Butler Bass’s lucidly written volume could be seen as slightly dated. The events that immediately followed September 11 are fading a bit from each of our memories. “God Bless America” bumper stickers are adorning fewer church doors. Televisions no longer replay the awful scenes. In the face of such ongoing and escalating assaults, we all need to recover our identity. We need to recover our identity not only as “alien citizens” in an earthly kingdom but also as “alien believers” in a church that is shaped more by earthly values than heavenly ones.